With the start of a brand new year, comes a feeling of a blank slate and the possibility for new beginnings. For me, I have some goals that I'd like to work on in the next 365 days. Call them resolutions if you will (although I'd prefer to just call them goals). Here's where my focus is going to be in 2015.
one // Run more. We are signing up for the Shamrock Run in March and are already well on our way to some race training. Most times when I'm running I think it's so hard and question why I picked this method to stay in shape... but after a good run I feel accomplished in a way that I don't get from any other workout. two // Document more. I want to take my camera out more, just for fun. I miss the days when we used to wander around on the weekends and I would snap away at anything interesting that I would encounter. I would love to do this once a month (at least) and document it here. three // Cook more. I already love to cook but sometimes life gets busy and we settle on Thai takeout down the street (which is amazing, every once in a while). I want to be better at meal planning and prepping for the week ahead. There's something about cooking a delicious meal that I just find so relaxing and therapeutic. four // Travel more. We didn't take as many trips in 2014 as we would have wanted to (or that the bank account would allow...). We really want to take a BIG international trip and are hoping to do so towards the end of the year. Our savings account is already in full force working towards this. five // Finish more. We have a few house projects that I've love to just cross off the list already! One more bathroom to finish and some kitchen work. It's been harder than I thought it would be to get these completed, but I'm crossing my fingers that we can finally get them done in 2015! 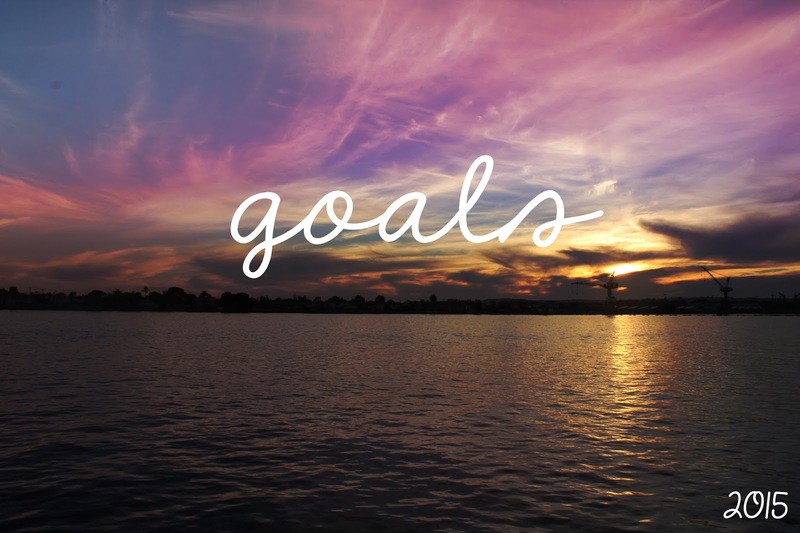 What are your goals for this new year? Please share! I want to run more too. I'm signed up for a half marathon in September but this post makes me want to do the Corktown 5k in March too. Other resolutions include growing in my career and my blog, being a better wife and sleeping less.